• Systems are designed to meet customers needs and satisfy their Insurers requirements by specifying British and European Standards. • Systems may be as basic or complex as the application justifies. • Monitoring of the system may be by dialer for contact with key-holders or to an alarm receiving centre using either a digital communicator, a monitored telephone technique such as RedCARE or with dual path signalling using a combination of telephone line and Cellular (GSM.) technologies. • Detection devices are chosen for their reliability and correct application to minimise false alarms. • Cameras are specified to be external or internal, fixed or pan, tilt & Zoom (PTZ). Cameras may be clearly seen to act as a deterrent or discreet thereby maintaining a low profile security for visitors and staff. • Recording may be on site using hard disk storage and/or off-site by an approved manned guarding security organisation. • Whole areas may be viewed at the same time in the safety of a secure room. • CCTV systems can be used to either substantially reduce the amount of guarding or totally eliminate their requirement making huge savings in the security budget. • Access Control may be used in a range of applications from controlling a single door to controlling multiple doors connected to a computer system on-line, designed in a modular format so that your security can grow with your organisation or your needs. • Individual staff may be given authority to access certain doors but not others and differently within pre-specified time bands. • Readers may use proximity, PIN, smart card, biometric or a combination of some or all technologies. 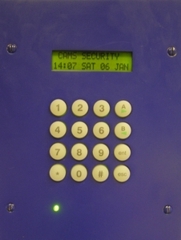 • The access control system may be integrated with other systems including door entry, CCTV and Fire Alarms. • For controlling a range of entrance doors including blocks of flats, care homes or commercial premises. • Audio two way communication with the external entrance door panel and by adding video, viewing the visitor prior to opening the door. • The door may then be released by pressing a button on the system telephone handset. • Disability Discrimination Act (DDA) compliance, if required. 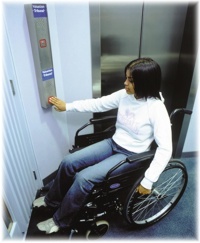 • Access Control facility can be added to the system for residents or staff. • Systems designed to L1 or L2 for protection of Life or P1,2 3 or 4 for automatic fire detection protecting both Life and Property. • Systems designed for analogue control panels or fully addressable. • Full cause and effects requirements interfaced and programmed. • Monitoring by an approved Alarm Receiving Centre who will notify key-holders and fire brigade. • A range of detection devices to suit the application including Heat, Smoke or a combination of both. Smoke beams and flame detectors. • Warnings of fire may be given by sounders, beacons or voice annunciation depending on application and requirements of DDA. • Portable or fixed extinguishing systems linked to fire alarms. • Training in the use of extinguishers offered on your premises or in our training room. • A reliable means of communication between residents/patients with staff giving confidence that the correct level of response is given to a call. • A vital link between the monitored premises, the key-holder and emergency services. 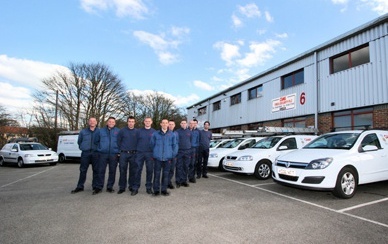 • 24 hr 365 days a year manned to BS 5979 and operatives certificated. • An agreed servicing program can be arranged, where applicable to recognised standards. • We will be pleased to survey, assess and quote service contracts for third party systems in addition to systems installed by ourselves. 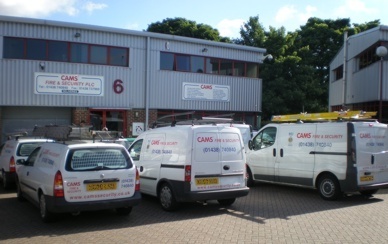 CAMS® is a subscribing member of the BSi (British Standards Institution).